With Readly you can read All About History - Royal Weddings Through History and thousands of other magazines on your tablet and smartphone. Get access to all with just one subscription. New releases and back issues – all included. "When Queen Victoria wed Prince Albert of Saxe-Coburg and Gotha on 10 February 1840, their families rejoiced. Not only had their dynastic scheming come to fruition, but the couple had already achieved what so many monarchs could only dream of – they had fallen in love. In an age where marriages were crafted to end wars and cement alliances, love was afterthought. 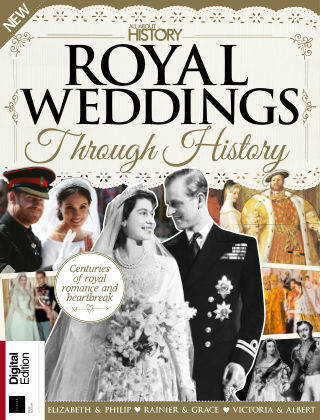 In Royal Weddings Through History, uncover the romances that redefined nations, from the union of Edward IV and Elizabeth Woodville, to Isabella of Castile and Ferdinand of Aragon. However, not every royal couple had their happily ever after. Elsewhere in the book, meet the mistresses who used their charms to win power, find out why Prince Charles and Diana’s ceremony wasn’t the quite the fairytale that it seemed, and read about how the wedding of Spain’s king almost ended in his death. "